Pregnancy comes with tremendous transformations for you and your baby, and keeping your health in check is now your primary priority. When it comes to healthy diets for soon-to-be moms, all specialists agree: you need proper vitamins and minerals to ensure your health and an excellent baby development. Of course, taking supplements should always have your doctor’s approval, just as the introduction of new foods in your diet. Here are the top 10 vitamins and minerals your body needs during pregnancy. One important rule in the consumption of Vitamin A is that you need to consume it together with healthy fats, as the vitamin is soluble in fat – therefore, it will be better absorbed and become more efficient. Your Benefits: it supports the health of your eyes and skin, but also your teeth — being essential for genetic transcription, immune system boost, and protection of vision. Baby’s Benefits: it allows healthy eye, bone and skin development. Resources: carrots, squash, sweet potatoes, dark leafy greens (kale, spinach, broccoli), lettuce, dried apricots, cooked tuna fish, sweet red peppers, cantaloupe, liver, eggs, milk, mango, and peas. As you (probably) know, the Vitamin B group consists of many B vitamins. According to the American Pregnancy Association, you need to carefully add at least four of them in your diet, as they are some of the most important vitamins and minerals for pregnant women. Vitamin B 1 (Thiamin): it regulates the nervous system, and raises energy levels for both you and your baby. The best foods for thiamin are: organ meats, eggs, rice, pasta, berries, nuts, whole grain, fortified cereals, vegetables, pork and wheat germs. Vitamin B 2 (Riboflavin): improves visual neural networks and boosts eyesight for both you and baby, contributes to skin health, and maintains energy levels. Foods rich in riboflavin are: eggs, dairy products, fish, meats, and poultry. Vitamin B 3 (Niacin): boost the nerves’ functioning and boosts your digestive system’s health, with added benefits for your skin. Some of the best sources of niacin are: meats, eggs, fish, milk, nuts, and fortified cereals. Vitamin B 6 (Pyridoxine): excellent for the strength of your nervous system, the vitamin also boosts the formation of red blood cells for you and your baby, being a great adjuvant to help you alleviate morning sickness. Foods to consider: poultry, fish, liver and other organ meats, vegetables, dairy products, nuts, bananas, beans, brown rice, oats. Vitamin B 12 (Cobalamin): this vitamin is essential for DNA synthesis, red blood cell formation, brain functions and neurological development. B 12 is bound to proteins, thus it is found in fish, meat, poultry, eggs and dairy products. It also comes as a supplement and is added to some foods (like fortified cereals), as it can’t be taken from vegetables or fruits. According to national health experts, vitamin B 12 is the engine of a healthy pregnancy, and you should consider talking to your doctor about recommended daily intake or supplementation. Your Benefits: It is an antioxidant that protects cells and tissue, strengthens blood vessels and boosts skin elasticity. It also contributes to better iron absorption. Baby’s Benefits: builds a healthier immune system and allows better iron absorption. Resources: citrus fruits, broccoli, guava, green and red peppers, potatoes, tomatoes, green beans, strawberries, papaya and other exotic fruits. If your doctor allows, you can spend a few minutes in the sun, as this is how vitamin D is produced naturally. You can, however, get healthy doses of vitamin D from certain foods. Your Benefits: promotes the health of teeth and bones, and helps with the absorption and efficient use of calcium and phosphorous. Baby’s Benefits: promotes the healthy development of bones, and enhances the calcium metabolism throughout the body. Resources: fish, mushrooms, milk, eggs. Vitamin E ensures the protection against free radicals throughout our life. In pregnancy, vitamin E is extremely important, and you can take it from delicious foods and products. Your Benefits: it helps your body form and use red blood cells, also strengthening the muscular system and the tissue of the internal organs. Baby’s Benefits: improves red blood cell formation, enhances blood circulation, and ensures protection from free radicals, also contributing to the healthy development of muscles. Resources: spinach, nuts (with an emphasis on almonds), vegetable oil, sunflower seeds, tomatoes, wheat germs, fortified cereals. 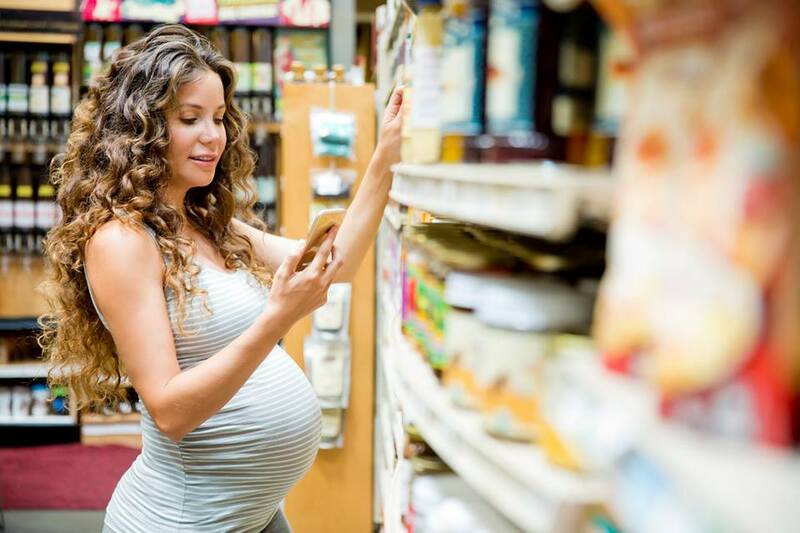 Minerals, Fatty Acids, and Other Compounds You Need During Pregnancy. Besides these aforementioned vitamins, you also need plenty of minerals and other substances to ensure the health of both you and your baby. Your Benefits: it protects your bone density, and prevents high blood pressure during pregnancy. It also prevents blood clots, and strengthens muscle and nervous system functioning. Baby’s Benefits: calcium ensures the proper development of bones and teeth. Resources: dairy products, soy milk, fish, bread, fortified cereals, dark green leafy vegetables, orange juice. Your Benefits: by helping the production of hemoglobin, iron prevents anemia, low birth weight, and premature delivery, and helps to strengthen your muscular system. Baby’s Benefits: strengthens the muscular system, helps with the development of a healthy blood circulatory system — preventing anemia and premature delivery. Sources: clams, oysters, organ meats (liver), beans, lentils, spinach, fortified cereals, dried fruits, wheat germs, oatmeal, grains, beef and pork. Your Benefits: prevents anemia and cell renewal, supporting your placenta. Baby’s Benefits: during the first months of pregnancy, folic acid prevents spinal cord birth defects (spina bifida) and other neural tube defects. It also prevents early miscarriage and premature delivery. Resources: dark leafy greens, asparagus, beans, broccoli, citrus fruits, peas, pasta, fortified cereals, beets, cauliflower, nuts, strawberries, seeds, and corn. Your Benefits: enhances the strength of your bone system while preventing high blood pressure. Baby’s Benefits: enhances brain development and functions, preventing problems at the spinal cord and neural system, and prevents neural tube birth defects. Resources: poultry, pork, beef, fish (with an emphasis on cod and tuna), eggs, broccoli, and cauliflower. The benefits of Omega-3 fatty acids are tremendous for our health in the long term, but when it comes to pregnancy, you should know that Docosahexaenoic Acid (DHA) is one of the most important ones. Your Benefits: reduces the risk of heart disease during pregnancy and later in life. Baby’s Benefits: helps with the development of vision and brain functions. Resources: fish and seafood (and most importantly salmon, tuna, crab, catfish, clams, and oysters), and eggs. There are plenty of other minerals and vitamins you need to know about and include in your diet during your pregnancy, but above anything else: always check with your doctor, have a full set of analyses, and follow the specialists’ recommendations.